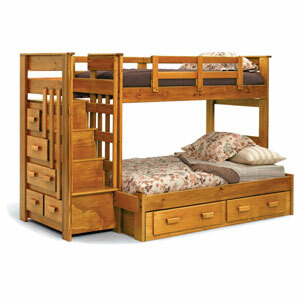 Solid Wood Escalade Twin Size Bunk Bed With Stairway And Storage. Strong Construction. Easy to assemble. Also available, at extra cost, Full Size Extension Kit and Under bed Drawers.